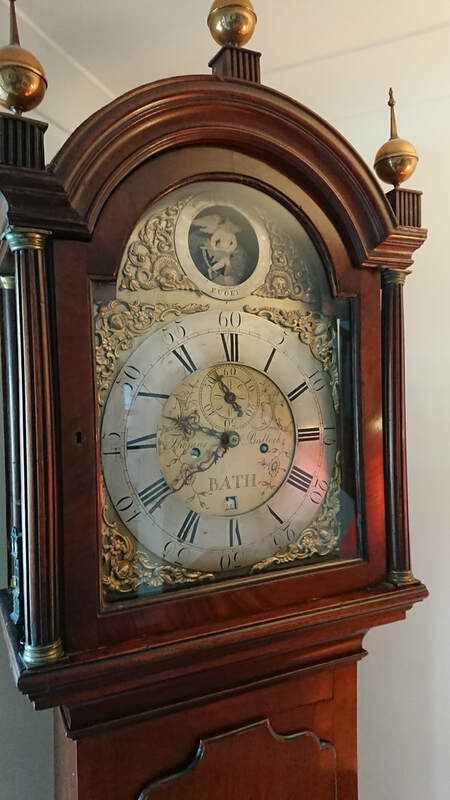 It was an exciting find when I came across your website and discovered Pat Whalley’s informative article on the Bullock clock-making family. 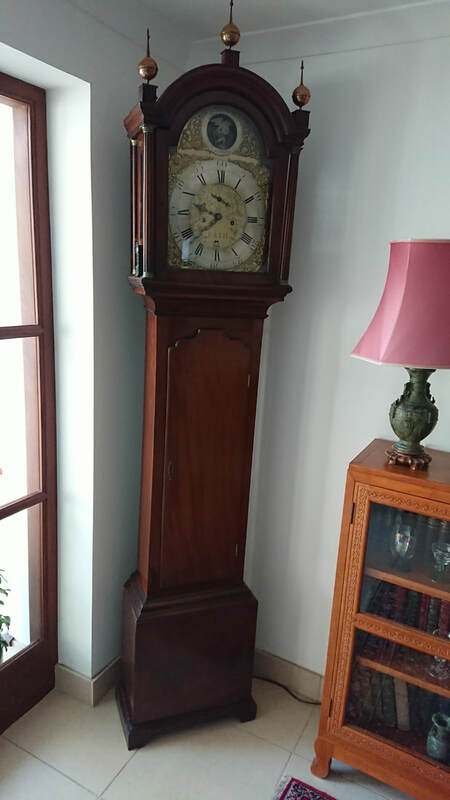 My wife’s mother used to live in Claverton, near Bath, and my wife inherited her Thomas Bullock, Bath long clock, which was purchased from a dealer in Wick in 1970. We did have it refurbished but later didn't have it running for some years. I have recently wound it up after my grandson showed a great interest in it and headed for it every time he came home. It runs beautifully.